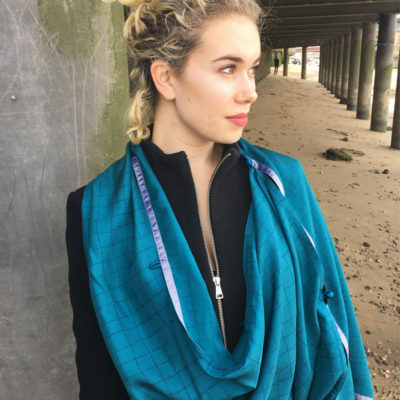 This playful Multiway scarf can be worn in a variety of ways depending on how you button the loops and silk baubles on the sides. 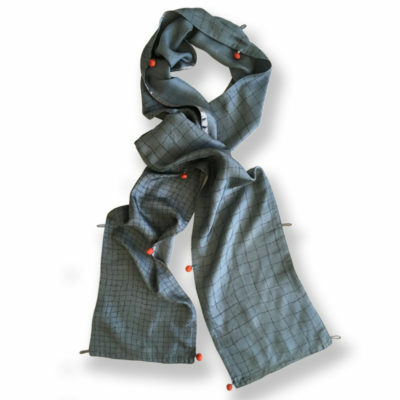 The graphic pattern derives inspiration from handwriting. 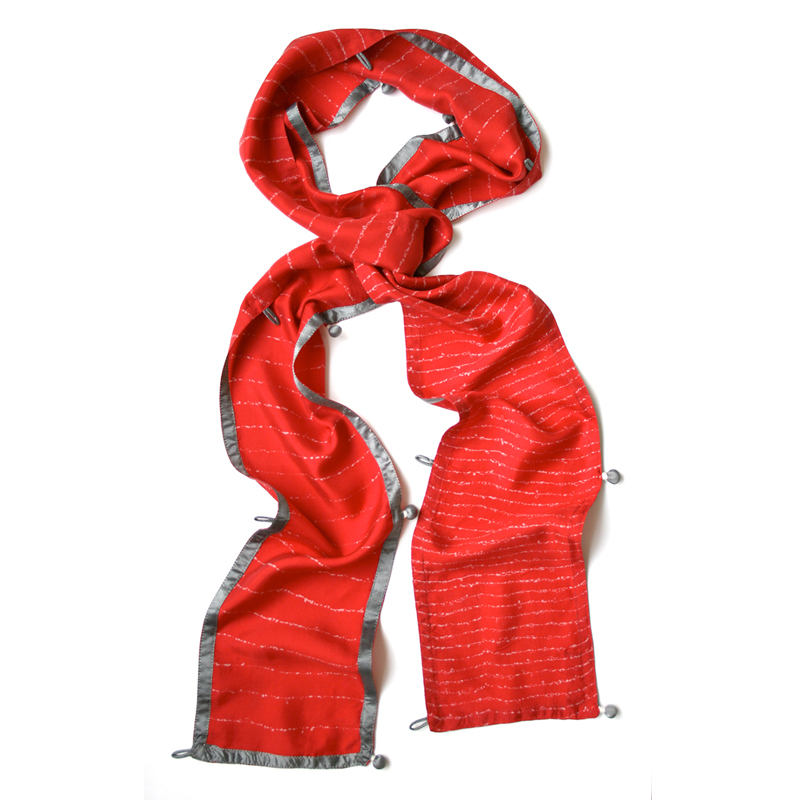 Each scarf is individually hand-dyed and hand-printed in bold colours. 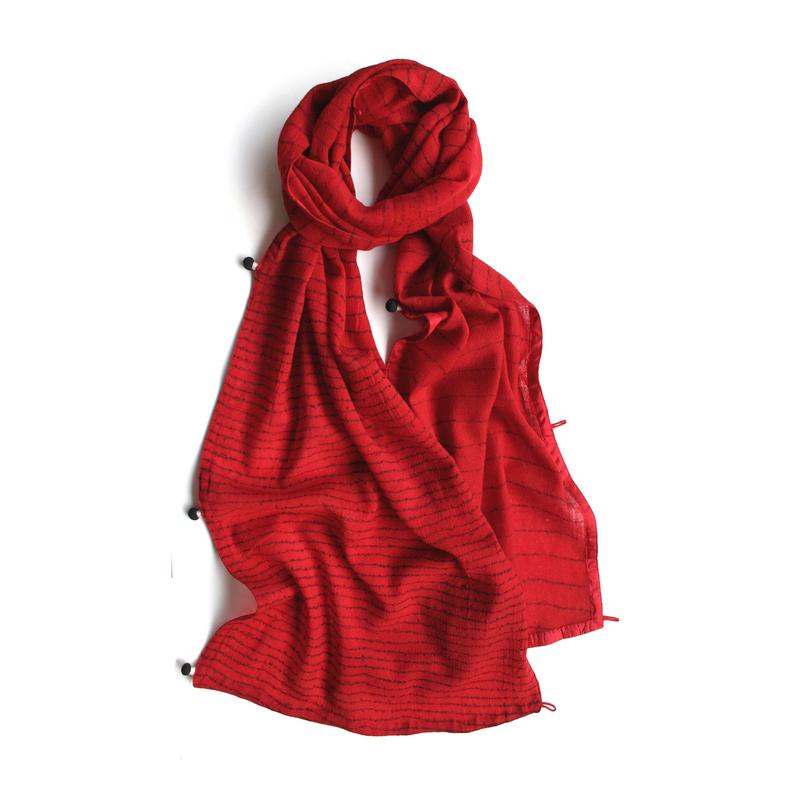 The linear pattern is designed in such a way that both ends of the scarf look subtly different. 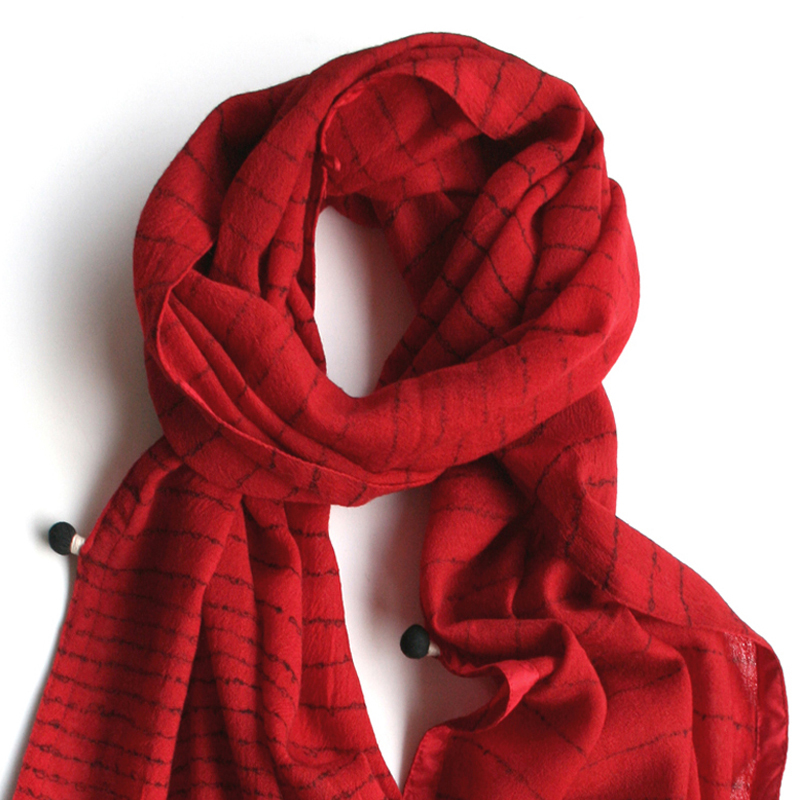 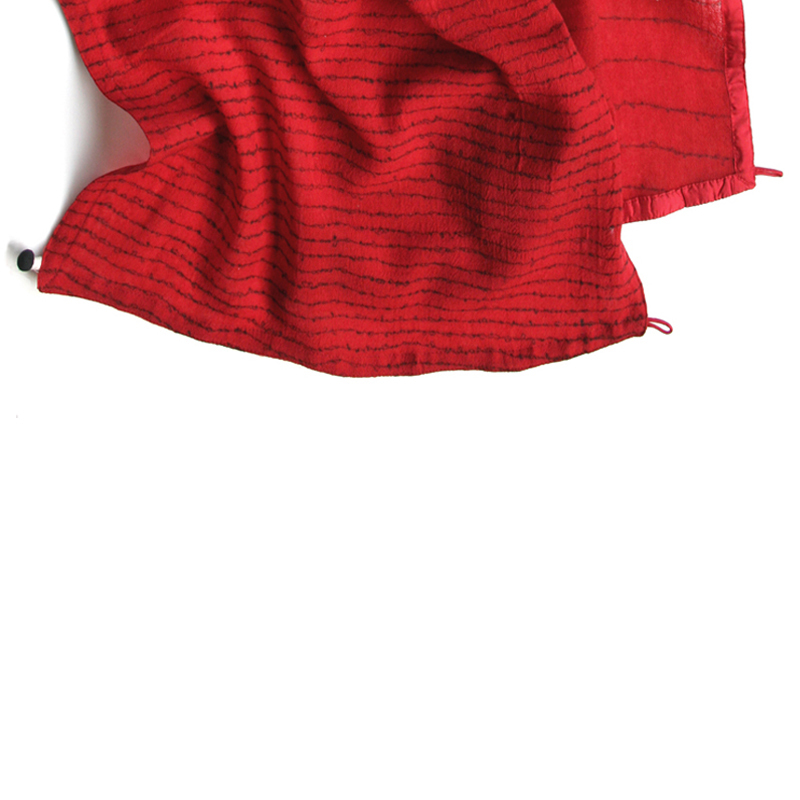 Hampstead Scarf is hand-dyed in a beautiful deep red on lightweight fine wool and the pattern is hand-printed in charcoal. 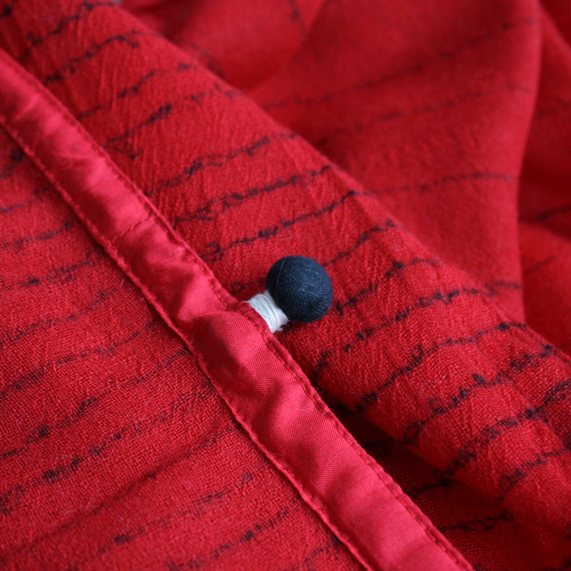 It has black silk baubles on sides. 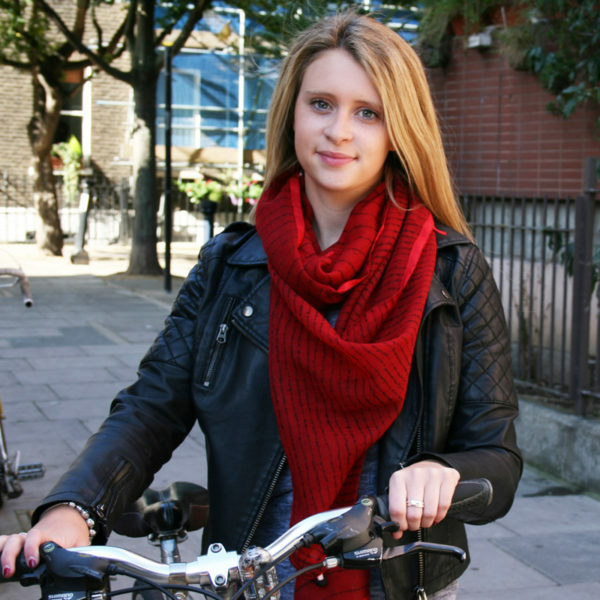 The scarf can be worn throughout the year.